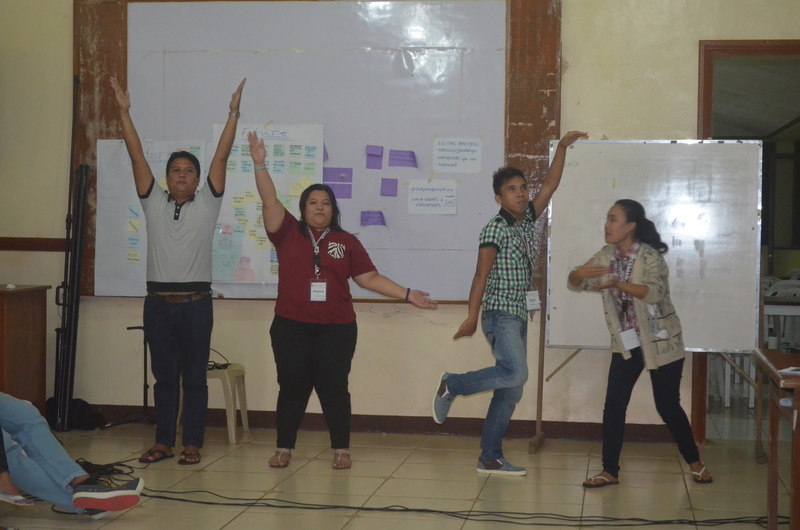 On Day 3 of the Young Leaders Summit 2014, the delegates went through another workshop on an important Issue in Focus: Climate Change and Agriculture. Rev. 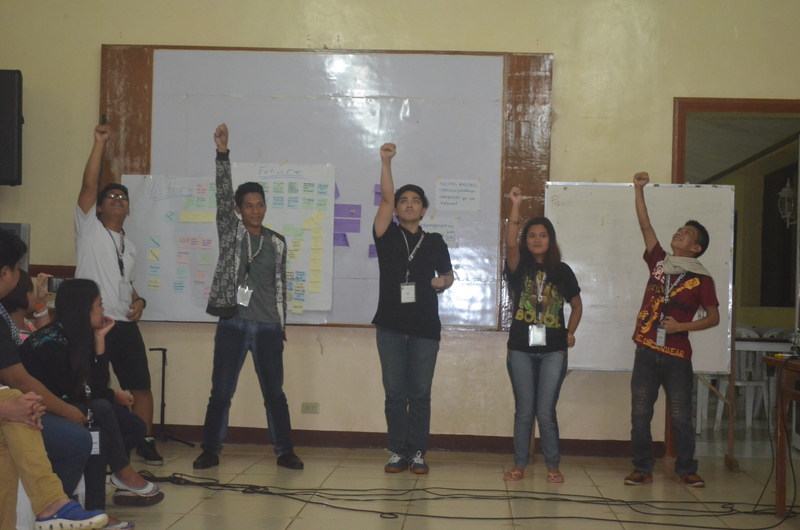 Jose Pepz Cunanan led the session and showed the delegates many different ways to organize a garden. He used a popular Filipino folk song, “Bahay Kubo” as a backdrop for the possibility of planting and harvesting many different vegetables in a small piece of land. Our delegates from Laos found the workshop very, very useful because they are farmers. Rev. 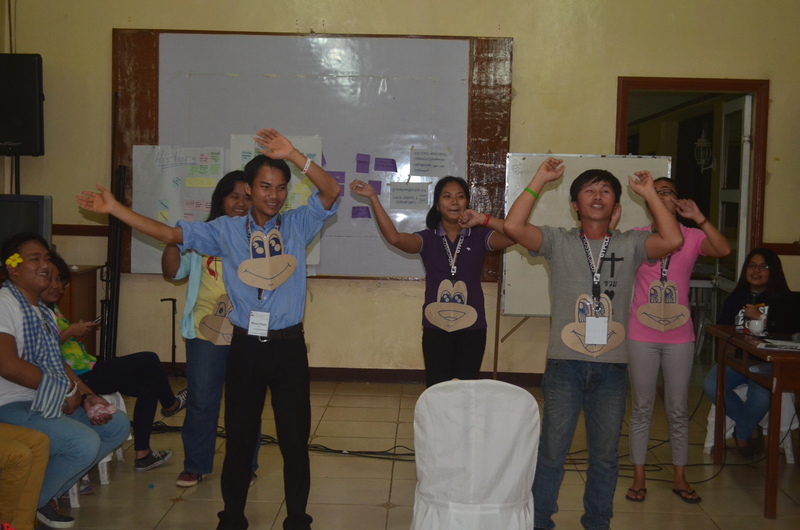 Cunanan also distributed some seeds that the delegates could use when they go back to their own places. The Visioning session is probably my favorite part of the Young Leaders Summit since the first one last year. It’s just awesome to listen to the visions of young people for the church and for the Philippine society. 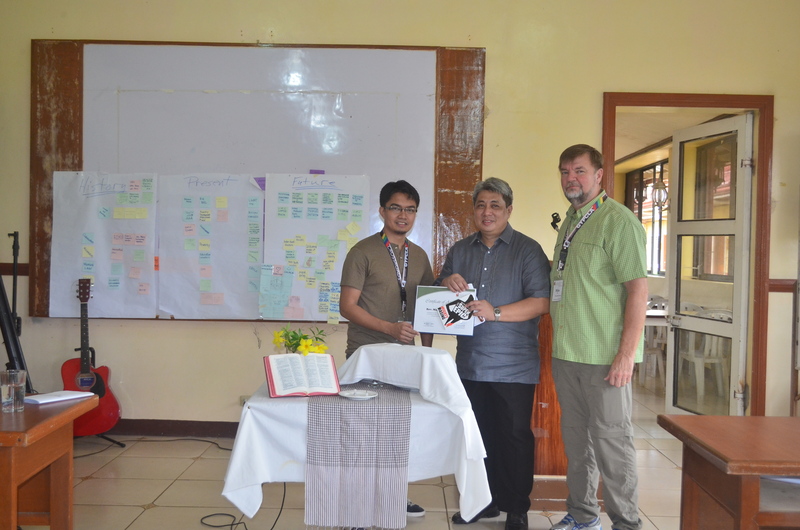 Mike asked them to look at the History of the United Methodist Church in the Philippines, then the Present, and lastly, he asked the delegates to open their spiritual eyes and present what their visions are for the church in the future. Here’s what the delegates wrote under History. Here’s what they saw in the PRESENT. On Day 3, we also engaged in some physical activities. Thankfully, the venue, Pranjetto Hills Resort and Conference Center has several rope courses, which we conquered. Monkeying at the Spider Web. During the evening of Day 3, Rev. Francis Fajardo, District Superintendent of NorthEast Bulacan District (BULPAC) shared a verse on how the Prophet Elisha used a bowl of salt to clean a source of water in 2 Kings 2:19-22. He challenged young people to get involved and allow themselves to be used by God to cure the bad sources of water that leads to unproductiveness in the country. He also led the delegates in a time of prayer for the Church, for our young people, and for the country. After having a visioning session on Day 3, the fourth day opened with a workshop on Program Planning and Implementation with Mr. Caloy Diño, Corporate Planning Director of FEBC Philippines. After which, the delegates went back to their groups and their output during the Visioning session to plan for one of the visions they put forward. Mr. Sengly Chhea from Cambodia shared some stories of ministry from his country. Mr. Kor Thao and Mr. Phonepheth also shared some of their struggles and difficulties as young leaders in Laos. My colleague, Armindo Mapoissa, also shared his work as Young People’s Ministries Staff person in the whole of Africa. We bonded together as a group and learned about each other’s faith and leadership journey, thus, leading to friendship that continues online since the delegates from from all over the Philippines and in other countries. Going Forth with Rev. Magusig Manalo Jr.
During the last day of the Summit, Rev. Magusig Manalo Jr, shared about the importance of discipleship among young people in the United Methodist Church in the Philippines. On the whole, the Young Leaders Summit 2014 was an awesome experience. 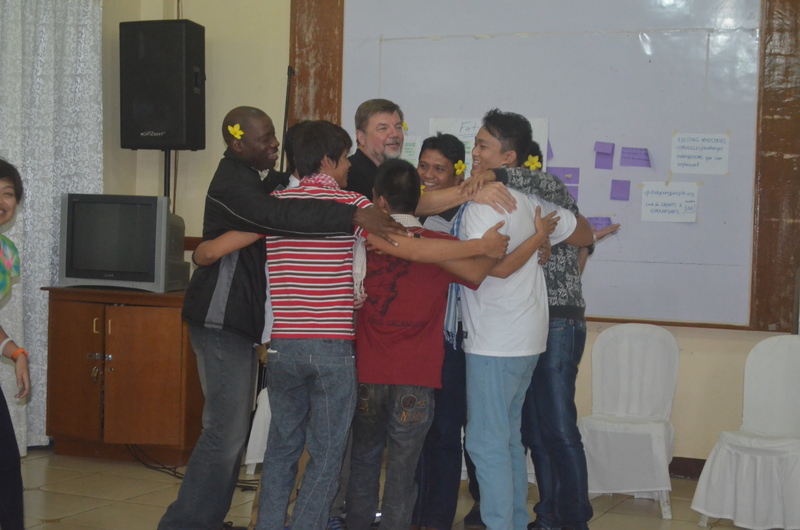 We got a chance to work with youth and young adult leaders from all over the Philippines, Laos, and Cambodia. We also had a view of young people’s ministries in Africa, thanks to sharing from Armindo, and of course, from the United States, thanks to some sharing time with Mike.